A-HOTEL.com - Luxury and cheap accommodation in Polkovnich'ye, Russia. Prices and hotel, apartment booking in Polkovnich'ye and surrounding. 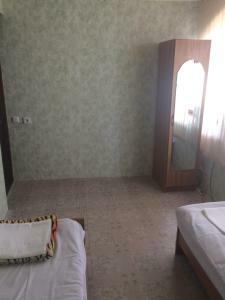 Situated in Dzhubga, Коттедж provides accommodation with a private pool and free WiFi. With mountain views, this accommodation offers a terrace and a swimming pool. Featuring air-conditioned accommodation with a terrace, Cottage-lux in Dzhubga is located in Dzhubga. Guests staying at this holiday home have access to a fully equipped kitchen and a balcony. Guesthouse u Adama is offering accommodation in Dzhubga. Boasting a 24-hour front desk, this property also provides guests with a sun terrace. U Svetlany Guest House features a private beach area, BBQ facilities and bar in Dzhubga. The accommodation provides free shuttle service and free WiFi. 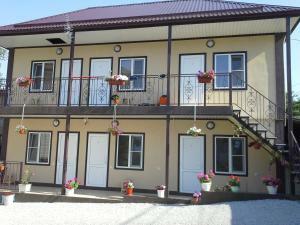 Located in Dzhubga, Guest house Liliya provides barbecue facilities and garden. The property has a terrace, as well as a bar. Featuring a shared lounge and free WiFi, Guest House Arisha is located in Dzhubga. Boasting a 24-hour front desk, this property also provides guests with a children's playground. Located in Dzhubga, Рыбацкая усадьба features barbecue facilities, garden and terrace. Boasting a shared kitchen, this property also provides guests with a restaurant. Otel Villa Solntsa has a seasonal outdoor swimming pool, BBQ facilities, a garden and terrace in Dzhubga. Featuring free shuttle service, this property also provides guests with a children's playground. Guest House on Sovetskaya is situated in Dzhubga. With a seasonal outdoor swimming pool, the property also has a garden. Гостевой дом «Дельфин» in Dzhubga provides accommodation with barbecue facilities, a terrace and a shared lounge. Both private parking and free WiFi are accessible at the guest house. Featuring barbecue facilities and a children's playground, Kak Doma Guest House offers accommodation in Dzhubga. Free private parking and free WiFi are available on site. Set in Dzhubga, Guest house " Captain Ashot" offers barbecue facilities. Boasting a shared kitchen, this property also provides guests with a restaurant. Emily Guest House is located in a quiet area of Dzhubga, 500 meters from the city centre. The guest house offers a sauna, an outdoor pool and children’s playground. Situated in Dzhubga, Гостевой дом пер. Солнечный 6Б features barbecue facilities and a garden.